PonPon. Creating coupons in the cloud. PonPon.my is a near-complete product where its development started 15 months ago. It is a project I started as a method of solving life's hassle from my own personal experience. I've got the inspiration from a time when my mother went shopping for clothes. When we are about to make payment at the cashier counter, the cashier gave my mother one printed discount coupon while telling her to keep the coupon to entitle for 10% discount for the next purchase. My mother, afraid that she might lose the coupon, had instead requested me to keep the coupon. The funny thing is I too felt that I would lose the coupon myself. Suddenly, a thought came into my mind. What if we are able to turn these conventional printed coupons into digital format? A digital coupon where we can save into the growing trend of digital storage: the cloud storage. A digital coupon once saved, enables users to distribute across multiple platforms of mobile devices! Hence, this is a truly eureka moment for me. After spending several months to define and refine the idea and business model, more thoughts and ideas were given to ease both the users and the merchants. Merchants now have more channels to distribute the digital coupon to users while paying less for the coupon distribution cost. These ideas would eventually lead to the creation of PonPon.my! 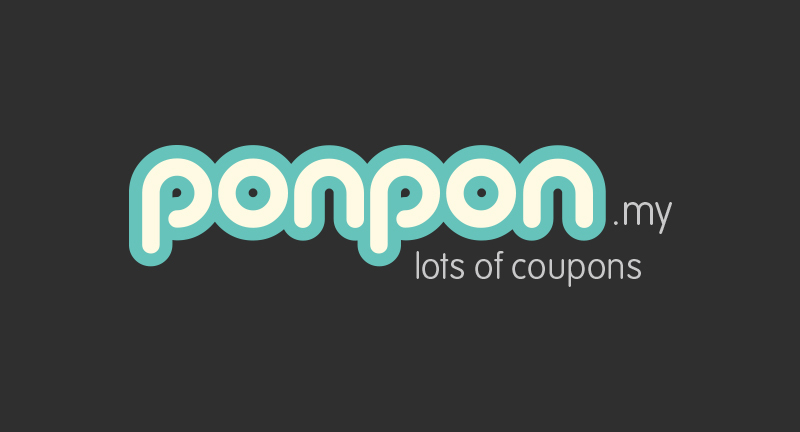 ponpon.my is free to use for all users, however, for merchants to push coupon via SMS or Email to users required ponpon.my credits, example 15 credits will be deducted from merchant account for every email push to user, 25 credits for every SMS push and 35 credits for every user snip your (merchant) coupon. We would like to share this innovative way of keeping and using digital coupons with our communities at large. We would like to see more people love using PonPon.my because it really helps them keep track of their coupons and reap more advantages from using PonPon.my. So share it with your family. Share it with your friends! You can be part of this project by giving your pledge. For every single pledge you've made, we at PonPon.my will give you equal amount of value worth of PonPon.my credits. This is PonPon.my way of saying thank you to all of you who supported us. PonPon.my is free to use. Merchants, in particular, who wish to deliver coupons via SMS or email to users will need to acquire PonPon.my credits. Some credits will be deducted from the merchant's account for these activities. However, the person must send pitchIN the proof of transfer by attaching the receipt to the email address: [email protected] with the Subject Heading: PonPon. Upon receiving that, the folks at pitchIN can then quickly update the project page. After making the bank transfer, please send pitchIN the proof of transfer by attaching the receipt and your name to the email address: [email protected] with the Subject Heading: PonPon. 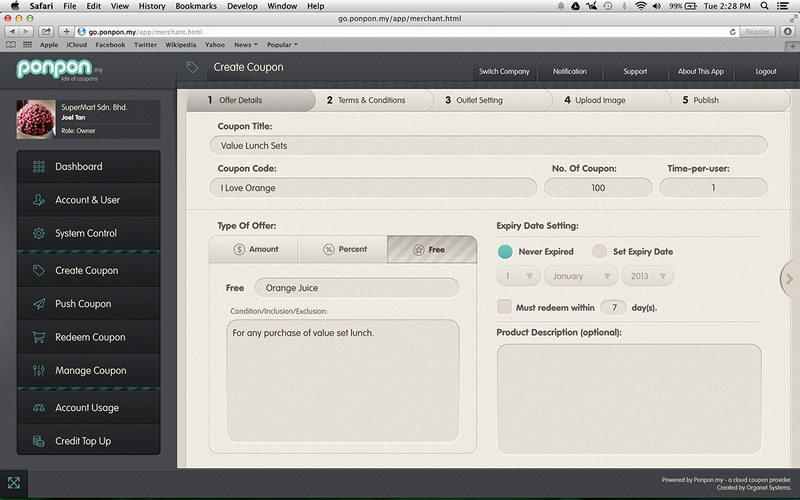 Creating coupons in the cloud.